It doesn’t take much practice to learn to play the world’s tiniest violin—just a complete and utter lack of sympathy for what someone else is complaining about. But thanks to the folks at Design I/O, your microscopic violin will finally produce actual sad music. 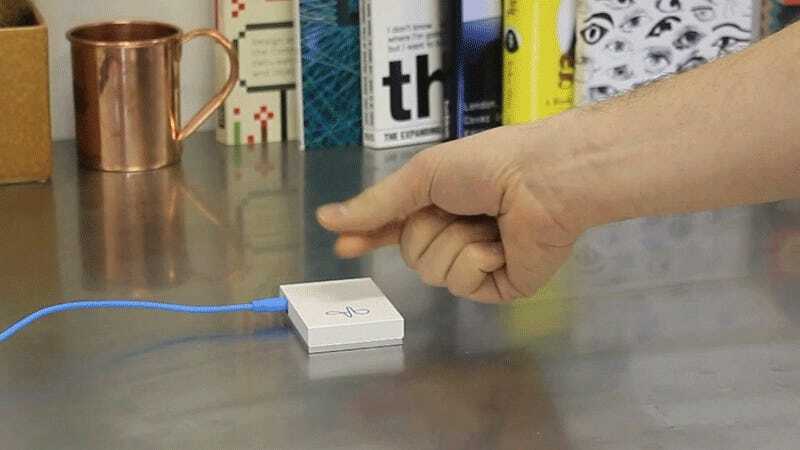 Based on Google’s Project Soli—a tiny radar-based chip that can detect tiny flickering movements of your hands and fingers—the World’s Tiniest Violin can reproduce the sounds of the actual instrument based on how vigorously the microscopic version is being played. It’s a little large and impractical to bring with you everywhere you go, but eventually the Project Soli chipset will start appearing in smartphones and watches. So one day all you’ll have to do is pop open an app when your friend starts complaining about how much their bosses pick on them, and start playing a sad not-so-sympathetic tune.